Nestled in Little Gap Valley alongside the Pocono Mountains in Palmerton, Pennsylvania, Blue Mountain Resort is a favorite for family skiing and riding. Blue Mountain is located 90 miles from Philadelphia, 92 miles from Newark and 111 miles from New York City. Blue Mountain has a base elevation of 460 feet and a summit elevation of 1,600 feet. Boasting the highest vertical in Pennsylvania at 1,082 feet, skiers and riders will find excellent terrain for all ability levels. The ski resort’s 39 trails are serviced by 16 lifts. Blue Mountain Resort is home to five terrain parks and a snowtubing area with 39 lanes. Blue Mountain’s base area plays host to a variety of summer events and family activities after the ski slopes close for the winter. Summer resort activities include mountain biking, scenic lift rides, disc golf, archery and more. Relax after a long day of on-mountain fun at the Slopeside Pub & Grill or stay in one of the many local lodging options that range from hotels to vacation homes. Blue Mountain Ski Area offers a great mix of beginner and intermediate trails spread across 164 acres. Blue Mountain also features 6 terrain parks that can suit any skill level. Additional activities include 39 lanes of snow tubing each 1,000 feet long and a natural USA Luge Track. Blue Mountain Ski Area has two lodges, outdoor grilling & eating areas, and a great ski and snowboard school. 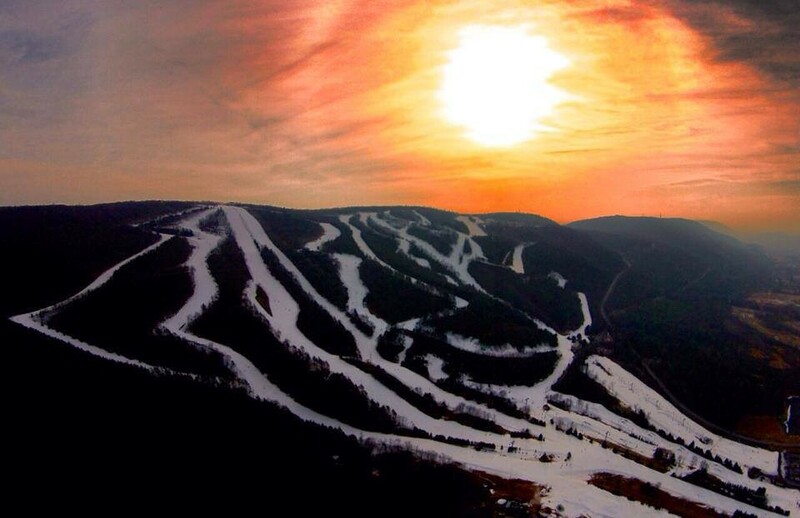 The ski area has gorgeous views of the Pocono Mountains and offers year-round activities. Get Snow Reports, Powder Alerts & Powder Forecasts from Blue Mountain Resort straight to your inbox!